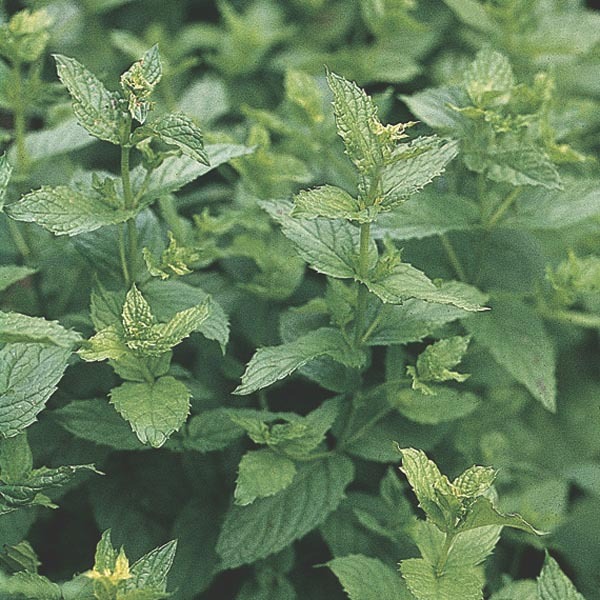 Mints are a mainstay of any herb garden. The foliage adds fragrance to the garden, and the leaves are a wonderful seasoning for cooking or flavoring beverages. Many mint species have beautiful textured or variegated foliage and are very ornamental in the landscape. Perfect to use in pots on a table or anywhere else the fragrant foliage can be best enjoyed. Beds, borders, containers, seasoning. Culinary herb for gardens and containers. The leaves can be used for tea. Wash fruits, vegetables and herbs thoroughly before eating. Performs best in moist, fertile soil. May become invasive if unchecked.